Drug addiction is not only a disease but also a disaster which leads the formation of a criminal force. Unfortunately, drug addiction and its derived effects are actual problem in Azerbaijan, too. These problems are derived from the socio-economic difficulties, problems in education sector, legal information deficiency and on the other side, the weak legal information assurance. Most of the young people living in regions are not familiar with the basic provisions of Criminal Code of the Republic of Azerbaijan and the other legislative acts, and they are not well informed about their rights. Therefore, such cases cause problems in creation of strong society. According to the calculations of Office of Drugs and Crime of United Nations, drug trade is the third profitable sector after oil and weapon trade. According to the declaration on “Fighting against the illegal circulation of narcotic drugs and psychotropic substances” of countries coalesced to Convention of United Nations on 1987, it is already 31 years that 26 of June is celebrated as “International fighting day against illegal circulation of narcotic drugs and narcomany”. 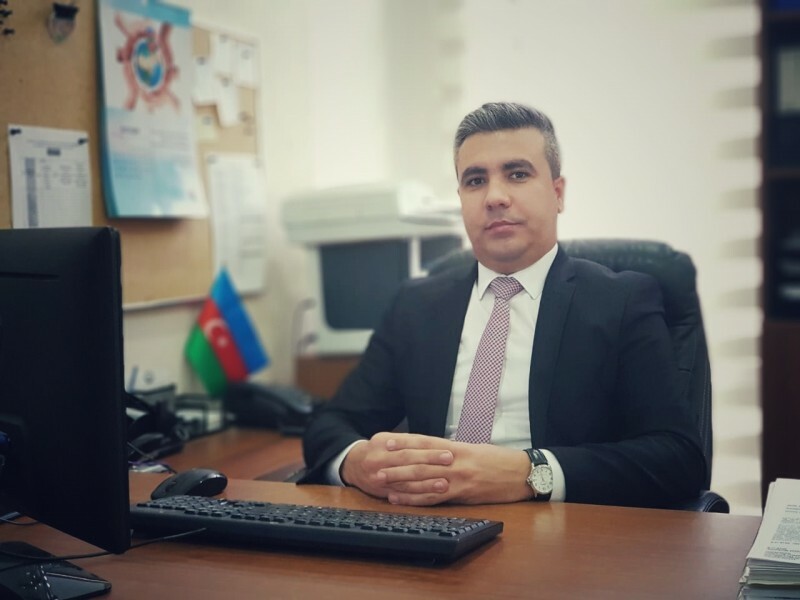 “The state program on fighting against the illegal turnover of narcotic drugs and psychotropic substances and their precursos” approved by the President of Azerbaijan under his order No 2966 dated June 24, 2013, should be considered as the most faithful step on the fight against this fatal disaster. Joint fight of separated state agencies, non-governmental organizations, mass media, law enforcement agencies, health and education organizations aims the prevention of the dissemination of this disaster. Drug addicted people lose the control over their own behaviour and it leads undesired actions, meanwhile crimes committed by them. İt is a disease of the human brain and consciousness. As a result of the physical and social degradation of the individual, drug addicts are expelled from social life. Drug addiction destroys society's gene fond and endangers society. Drug addiction is a serious problem that creates medical deficiency, including human right violations. While there is a need for legal and medical educating events in the fight against narcomany, creative and youth oriented programs are also considered too effective way of fighting. The support of a number of state agencies and institutions to the non-governmental organizations in the reduction of dimension of drug addiction increases the effectiveness of program. One of such state agencies is the Council of State Support to Non-Governmental Organizations under the President of the Republic of Azerbaijan. The Council established under the Decree No. 674 of the President of the Republic of Azerbaijan on December 13, 2007, plays an active role in the fight against drug addiction and the other harmful habits threatening the community, especially young people. Thus, the Council actively supports the activities of NGOs annually in this direction and allocates grants for financing their project proposals. The Council has widely supported the projects on the fight against drug addiction on previous grant competitions. While talking about the tasks fall over the Council, first of all it is necessary to mention the awareness-raising events held in this regard for the civil society representatives and the assemblages organized for different age groups. In this regard, involvement of NGOs in active social processes, implementation of various projects and programs is considered as one of the main tasks of the Council. In total, the Council has allocated 100 000 AZN fund to 15 projects on the theme of narcomany in 2017. 45 individuals were involved in the implementation of the projects. The projects beneficiaries include 2195 children, 1886 young people and 1598 people from other age groups, out of them 3258 were men and 2421 were women. Additionally, 6 trainings, 37 workshops, 11 other events were organized during the implementation process of projects in different cities of Baku and regions of Azerbaijan. Moreover, 7 booklets and 3 social videos were made. In total, 158 800 AZN of fund was allocated by the Council for the implementation of the 24 projects mentioned below in 2018. Activities organized by NGOs worked on this sector are mostly organized by youth. Such projects are mainly implemented by specialized NGOs working with young people. • The project on “Carrying out information campaigns on drug addiction, Human Immunodeficiency Virus/ Acquired Immunodeficiency Syndrome and similar diseases, preparation of video tape” of the Public Association of “Cultural Wave” promotion of creativity. Implementation of these projects expresses the support to state policy in this area, and it is highly enlightened in the community's life by strengthening public resistance to drug addiction. These projects, along with Baku, have also been realized in the other regions of the country. Awareness and enlightment were the priority for implemented projects. Particularly, the events held in regions with young people, featured broad discussions. The aim of the project was mainly raising awareness of young people in the centre and the regions of the country. As for the concrete figures, I would like to state that 80 people have been involved to the projects and 5110 people benefited from projects. 1390 of them were children and teenagers, 2520 were young and 1200 were adults. Within the framework of the funded projects 81 seminars and various kinds of events were organized, 19 booklets, 3 exhibitions and 2 social videos were prepared. Particularly, it is worth to note that 2 theatrical performances were organized with the participation of young people. In 2019, there are important tasks that stand before the Council within the framework of measures taken by state and society to combat drug abuse. I would also like to note that the measures implemented by state agencies together with NGOs, as well as carried out monitoring, make us optimistic about the future in this area. We are convinced that inclination to harmful habits such as drug addiction, which has become a serious problem for some people and causes society’s concern, will gradually reduce as a result of the will of the state and the efforts of civil society institutions. The Council is awaiting new and innovative proposals, more effective approach to the fight against socio-economic danger, and measures to go from close spaces to open spaces on “The Fight against Drug Addiction” in the following years from the representatives of civil society working in close cooperation with NGOs.